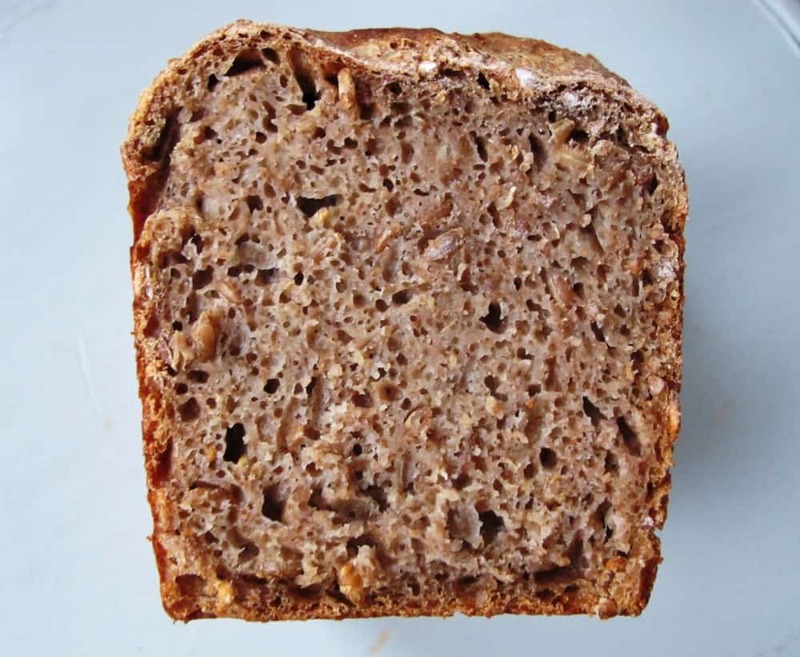 This is a recipe for a wholemeal spelt sourdough bread using only wholemeal spelt flour and spelt grains. 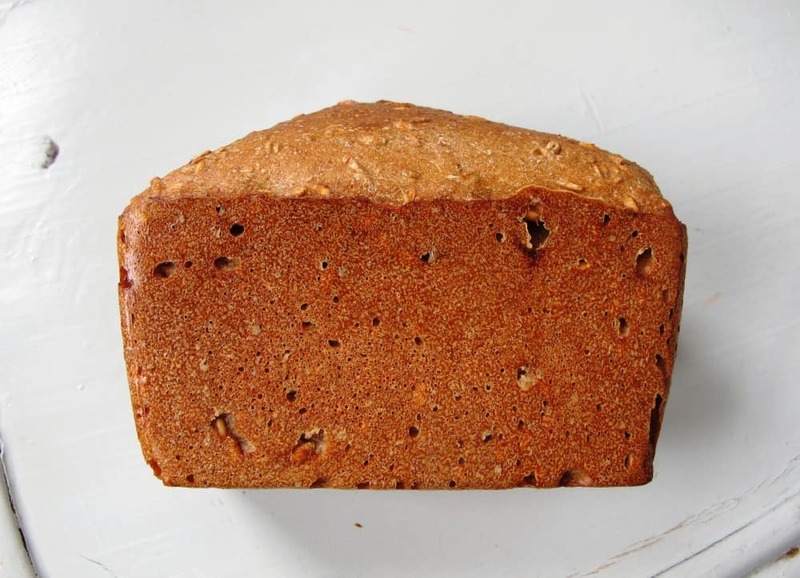 This bread shows that, contrary to popular belief, it’s possible to achieve a very well balanced loaf of wholemeal spelt sourdough bread with a wonderfully aerated crumb held together by a crisp chewy crust. A big thanks to Lutz from Plötzblog and Gerd from Ketex.de whose posts have provided the building blocks for this recipe. However, my recipe doesn’t use yeast and relies entirely on the strength of the sourdough rise. Thanks to my grain mill, I can make the spelt bread simply from a bag of spelt grains, milling what I need and leaving the grains for the soaker whole. On day 1, prepare the sourdough, spelt grain soaker and scalded flour as follows. In a medium plastic bowl, combine the ingredients and mix well. Cover with a lid and leave to rise at room temperature for approx. 16 hours. In a small pot, combine the spelt grains with the salt and pour over the water. Simmer at a low heat until the water has been absorbed (approximately 45 minutes). Cover and keep at room temperature for about 16 hours. In a medium bowl, pour the boiling water over the flour and mix until the mixture is a smooth pulp. Cover and keep at room temperature for about 16 hours. Adding the scalded flour will allow to bring more moisture into the loaf. On day 2, prepare the final dough and get ready to bake! Combine all of the ingredients to form a soft dough and knead carefully for 10 minutes. Give the dough another 10 second knead, shape and place into a baking tin (17cm x 10cm x 10cm). Wrap in a polythene bag and leave to proof for a few hours. 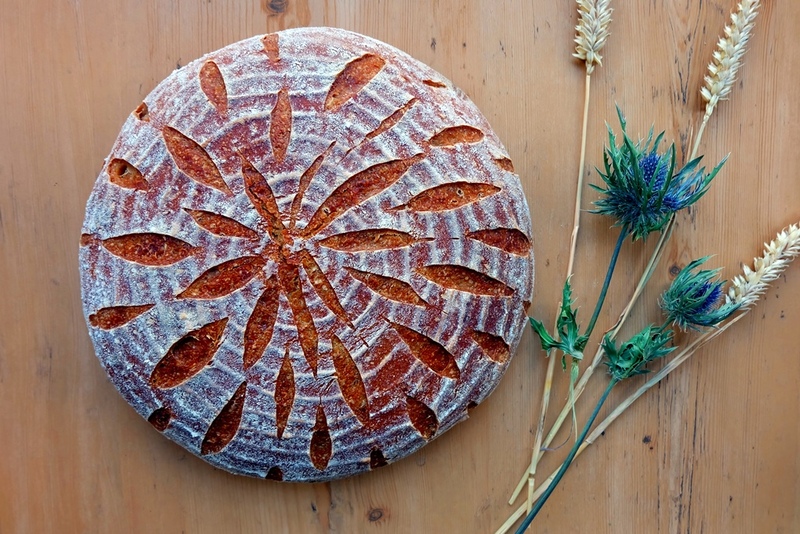 Spelt ferments faster than other flours, so keep an eye on it. I had to slow down the fermentation as I had plans for the day so I placed it in the fridge for a number or hours. In this case, you can just bring the dough back to room temperature before baking, making sure you complete the proofing process. Preheat the oven to 240°C, bake for 15 minutes, then turn the oven down to 180°C and bake for a further 35 minutes.